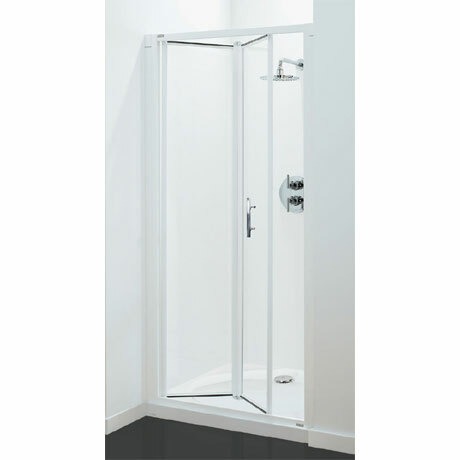 The Optima Bi-Fold Shower Door is ideal where space for an outward opening door is restricted. The shower door can be installed in an alcove or used in conjunction with a side panel. Available in 5 sizes, the door is 1900mm high and made from toughened safety glass and a white powder coated aluminium frame, which complies with EN12150 and EN12600. The glass is also specially treated to make cleaning both easier and less frequently required.